While i was working friday evening at around 1745 i witnessed an unusual light moving in a strange way. i heard no sound coming from the object and the light didn't flicker or waiver. i called my partner over to see it and the object moved in a very steady slow,straight motion. i took a snapshot of the object as well as a video. 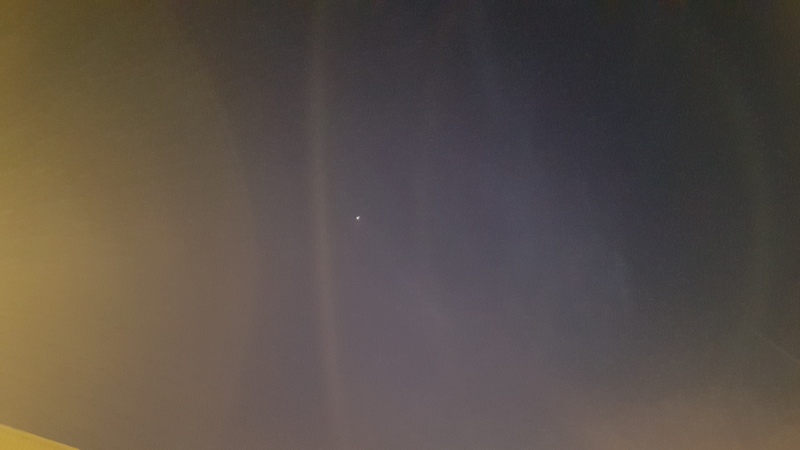 i thought nothing of it until i zoomed in to view the object and was surprised to see what looks to be a "v" shaped object.The object flew off into the distance.